Today is the fourth "Opening Day" of the major-league season: There was the true first game of the year last week in Japan. Then came the Stateside opener in Miami on Wednesday night. Then yesterday brought seven more games, including the Mets' 2012 opener. And today, the thirteen teams that have yet to play a game are scheduled to start their seasons. That includes the Yankees. Joe Girardi's club has made the trek all the way from Tampa to, er, St. Petersburg — that's a twenty-seven-minute drive according to Google Maps — and it'll start its 2012 campaign against the division rival Rays. 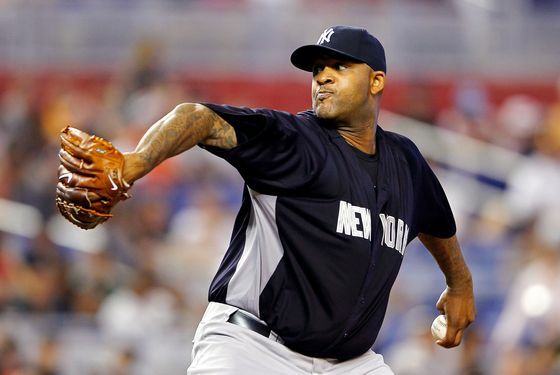 CC Sabathia will make his fourth Opening Day start for the Yankees, and it's easy to forget that with all the talk of Michael Pineda and Hiroki Kuroda, the most important move of the Yankees' off-season was keeping Sabathia off the open market by signing him to a contract extension. First pitch is scheduled for 3:10 p.m.